Email is here to stay. It is a critical communication tool, even in the era of texting, chatting, and social media. There are still plenty of free email service providers out there, but gone are the days of getting branded email ([email protected]) for free. Certainly, there are ways to do it – using forwarders and a Gmail or Outlook.com account. And you definitely need to be using a branded business email address. However, if you’re running a business, paying for one of your critical services means better service, consistent branding and more control. When it comes to email, there are really only 2 choices in my book. 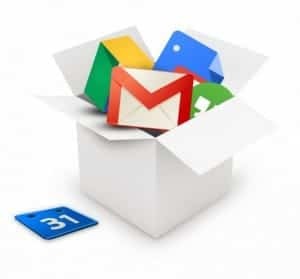 G Suite (Google’s Email/Office Service) or Microsoft Office 365 (either Exchange Online or the full Small Business Premium package). If you are a hard-core Outlook user or if you use Outlook and hate learning new software, do yourself a favor and just go with Microsoft service. Seriously. Yes, G Suite can be used with Outlook. But that’s like drinking hot coffee out of a martini glass. You can do it, but really, why would you? They just aren’t meant to go together. If you have a martini glass, find some vodka. Outlook and G Suite can be used together, but really you should not. Using your web host for email is inviting disaster. Hosting websites and hosting email are extremely different services. I want my webhost to be an expert at hosting my website. That’s why I look to Google or Microsoft for hosting my email. Don’t get me wrong, free services and apps are the bread and butter of the bootstrapping entrepreneur. It is wonderful that so many exist to help get businesses off the ground. However, email is too critical not to fork out $50 a year to get reliable service and be able to take advantage of all the integrated services that can help you and your clients. Using your webhost for email is inviting disaster. Sleep better at night by using a real email host. In this article, I’m going to talk specifically about G Suite. It is a smoking deal at $50/user/year. However, Microsoft has offerings in the same price range. You can get Exchange Online (email, calendar & contacts) for $48/user/year. 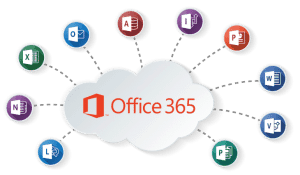 Small Business Premium Office 365 is more expensive at $150/year ($128 on Amazon), however, you do get full, installable versions of Office for up to 5 devices, including iPads. If you are considering upgrading your Office software, or want to use Office on your tablet, this is a great deal. Using G Suite for Business allows you to use your branded domain for all of Google’s services. Besides using Gmail to send and receive from [email protected], here are 4 more reasons to pay for G Suite for Business. Use Calendar, Drive and Hangouts with your branded domain (e.g. if you send someone a meeting request from a free Google account, it would come from an @gmail address instead of @yourdomain). Aliases and groups – maybe you need multiple email addresses, but not multiple accounts. With G Suite you can create aliases (and send from them). You can also create groups which are essentially forwarding addresses that can deliver to multiple email addresses. For solopreneurs, sending and receiving your custom domain email via Gmail can work fine, as long as you don’t need to use the rest of Google services in a business capacity. However, if there is more than 1 person in your company, G Suite has all the tools needed to administer and collaborate with multiple accounts for a small business. Gmail will never have those features. The reason administrative features are vital to multi-person businesses is so that information is easily shared by a team, and you still have full control and ownership of all email, contacts and documents even when an employee leaves the company.